1.India vs Australia at Adelaide,AustraliaAustralians managed to score 556 runs in 1st innings because of splendid performances by Ricky Ponting(242 runs),Simon Katich(75 runs) and Justin Langer(58 runs).It was a tough task in front of Indians.Indians started confidently but Bichel reduced them struggling at 85/4.This was a true test for Dravid and Laxman.They changed the game with a great partnership of 303 runs.In the end Indians managed to score 523 runs,Dravid scoring 233.In 2nd innings,Agarkar took 6 wickets to restrict Australians at 196 runs.Indians managed to chase the target successfully because of Dravid's 72* runs not out.Indians won their 1st match ever in Australia against the home team. 2.India vs West Indies at Kingston,Jamaica.The Sabina Park pitch was totally helpful for bowlers.Dravid took Indians to a respectable total of 200 after the score of 91/6.Dravid scored 81 runs.Indian bowlers bowled superbly to reduce West Indies at 103/10.In 2nd innings,it was Dravid again to take Indians to safe score of 171,Dravid scoring 68.Chasing the target of 268,West Indies just managed to score 219 runs.Indians won the series 1-0. 3.India vs Pakistan at Rawalpindi1st innings:Pakistan 224 all out. (Balaji 19-4-63-4)India 600 all out. 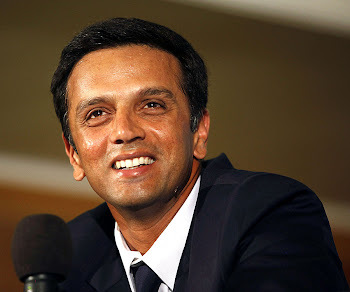 (Dravid 270)2nd innings:Pakistan 245 all out.Indians won the series 2-1.